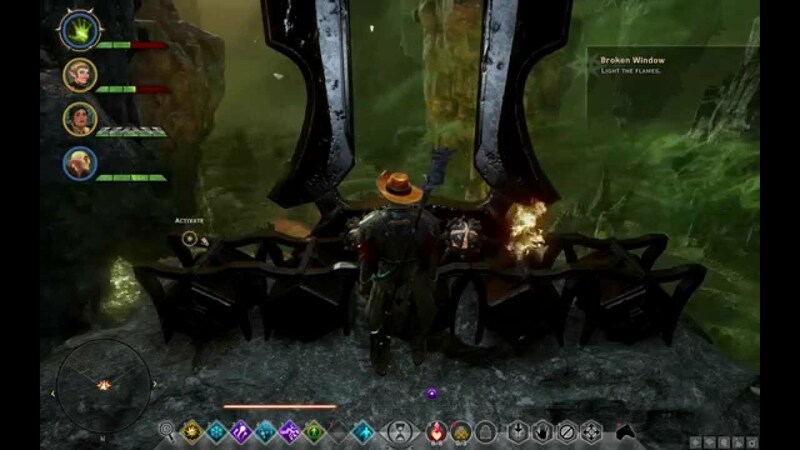 The Fade - Dragon Age: Inquisition Walkthrough, Game Guide and Maps, with Quest and Locations of Camps, Merchants, Rifts, Ocularums, Astrarium, Dungeon Entrences, Landmark (POIs), Crafting Station, Mosaic Piece, Inquisition Agent, Secrets, Party Members, Bottle of Thedas and Codex Entry. You arrived here from Adamant Fortress. It happens during Here Lies the Abyss - Inquisitor Path Quest. In here sometimes you have to go further in the area looking for items to then come back and put them in designated locations in the earlier part of the maze. Solution for this quest is on video below. NPC: Aspect of the Nightmare You have to kill him. Select one of followers Hawke or Stroud to die here, is irreversible, and if to be honest it does not matter. And escape through rift to back to Adamant Fortress.